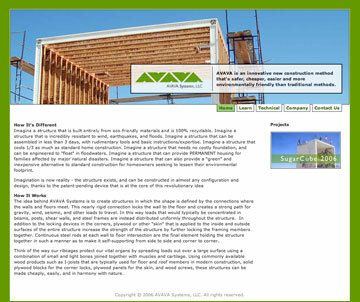 The AVAVA system is an innvovative “green” construction method that is radically different to current building methods. The site educates the seasoned contractor and those who have never touched a hammer. Responsible for design, layout, images, logo, updating, and maintenance.